Join Deschutes Land Trust as we craft our very own Magnificent Monarch Wings! 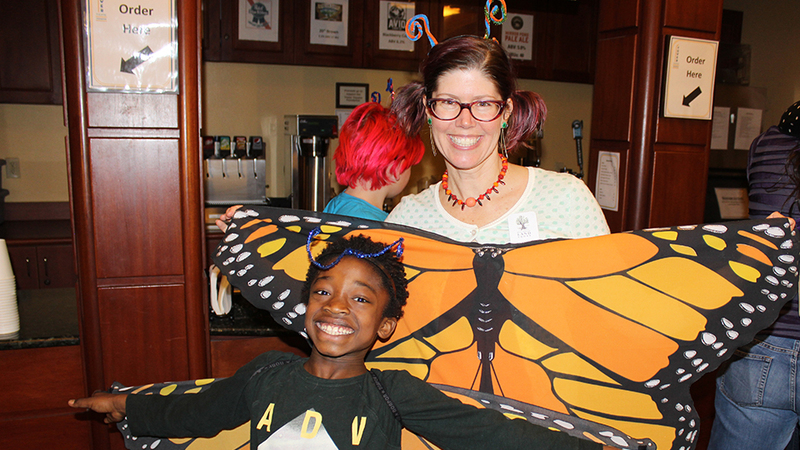 Use fabric, paint, and other materials to make your own monarch wings – then join Deschutes Land Trust, Base Camp Studio, and The Environmental Center to walk in a kaleidoscope of butterflies at the Earth Day Fair & Parade. Bring the whole gang or plan some quality time with a parent, child, grandparent, niece, friend… you get the idea! The studio is open for all ages to connect with others doing, creating, and protecting what we love.